In today’s Friday Flop Shot we will take a look at 1 hidden hazard of playing golf in cool weather. This situation can show up with little or no warning and your daughter’s health and golf game will suffer. There are few things as pleasant as being on the golf course on a cool day. Temperatures in the 50’s warming into the 70’s make being outdoors feel like a million dollars. These pleasant temperatures are sneaky because in your enjoyment of the beautiful conditions you might tend to get out of your regular and hopefully, disciplined routine. Living in South Texas we realize the effects of heat on an athlete and know what steps to take to keep our young golfers in proper condition to continue to play. Hydrate, hydrate, hydrate are some of the most important words you can ever say to your girl/boy. In fact the last few sentences we would say to S3 as he was preparing to tee off would be something like, “Drink plenty of water, play well, we love you!” And we emphasized the water whether it was 35-degrees or 105-degrees. Dehydration is more common than you would think in cool or cold weather because your daughter thinks she’s OK since she doesn’t feel hot. The air temperature is so very comfortable. Her body is losing water in a number of ways, but again, she’s just not noticing. This is not helpful for playing competitive golf. And if there’s any wind, are you kidding it’s always windy on the golf course, it’s just a question of how windy, she will lose moisture even faster. While there are a number of symptoms of dehydration, today we will mention the 3 that are most likely to impact your girl during a round of golf. Being thirsty, feeling weak or being confused can certainly appear in any type of weather, but it sneaks up on your youngster when it’s cool or cold. How many times did we see S3 give us the thumbs up when we knew he wasn’t drinking enough water. Well, you can’t coach your kiddo during a tournament, so it is imperative that you repeat 1 million times for her to drink water continuously during a round of golf. Say it all the time, not just during golf-oriented activities. Say it until you see her checking, on her own, that she has a full water bottle in her bag before the start of her round. Parents please stay after this until it sinks in! Meltdowns over the last few holes of a tournament are caused by many things and 2 of them are mental confusion and physical weakness, neither of which may your girl be aware of because they have not progressed to an extreme state. Nevertheless, it happens, it’s real. Please encourage her to believe that these thing may well be happening even though she believes she is feeling just fine. Sneaky and crippling, that’s what dehydration is! Make drinking enough water a family mission. Everyone will benefit! 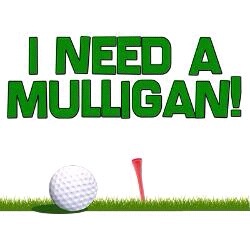 In today’s Monday Mulligan, we will ask parents to take an out-of-the-box line of thought. We’re going to ask you to consider going beyond the game. At some point, strength and conditioning training will need to be incorporated into your son’s/daughter’s regimen. Basically, all the PGA and LPGA players have strength coaches and/or personal trainers. During the Dell WGC Matchplay Championship, won by Dustin Johnson, the announcers commented about how well he, the World’s #1-Ranked Golfer, is playing. In addition to being a gifted athlete, DJ works out twice a day, 7 days a week. Wow, that is a serious routine and it’s really paying off! So what does going beyond the game look like to the parents of a junior golfer? Simply put, it is doing something that is not golf that will help them play better golf, be physically stronger and have better endurance. It is very common to see junior high golfers gasping for air in the freshman year of high school when they have to carry their bag and play well for more than 9 holes. And the same thing happens during the freshman year of college when your son has to play 36-holes, walking of course. In addition to the standard s&c workouts here are a couple of different and informal, spur-of-the-moment ways for Mom and Dad to go beyond the game and help their kiddo get into better golf shape, the ability to walk, carry their golf bag and play well for all the holes in their tournaments. First, find some time for both of you to walk together around the neighborhood carrying golf bags or backpacks with weights or bricks in them. Just 15 minutes several times a week can be a genuine benefit to both of you. And it gives you time to talk, enjoy each other’s company and increase your understanding of where your child is at mentally during this stage of his/her life. These can be very special times and deepen your relationship with your child. Second, and you will want to make this fun, have some of what we call p&p contests (push-ups and planks). Grab your son and tell him that it’s time for some push-ups. Depending on his/her strength level he may need to begin by doing push-ups on his knees and progress to his toes once he gets strong enough. See who can do the most or who can do the most in 30 seconds or such. Then do a plank or 2. Planks are amazingly beneficial to the whole body and are excellent for the building the very important core muscles. Time the planks and see who can outlast the other one. There are regular planks-arms extended, elbow planks-on elbows, side planks and even reverse planks. Unending planks! Tough, but oh so good for everybody! Yes, planks help increase the parent-child bond. Frankly, even the most dedicated junior golfer needs time away from golf, time that is not specifically golf. It’s simple to incorporate these items into your weekly schedule. It just takes doing it, taking the first step. Start with whatever is easiest and add the second one in a couple of weeks. Let’s help your junior golfer and have some fun too! 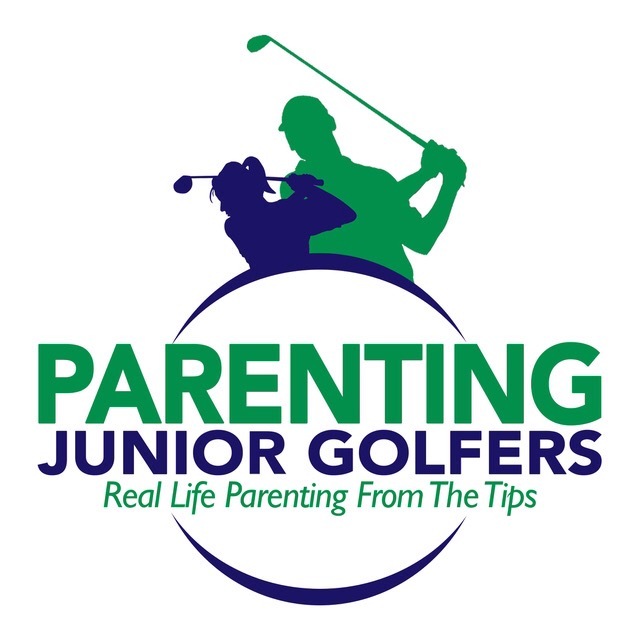 Junior Golf: Who’s New At Parenting Junior Golfers? In today’s Friday Flop Shot we will introduce the latest addition to our Parenting Junior Golfers team. The First Tee of Greater San Antonio is a wonderful organization filled with talented staff and volunteers. We have gotten to know many of these nice folks over the last couple of years. Our parenting seminars are packed and there are always some FTGSA staff who make every effort to spend a few minutes with us to pick up a couple of tips on parenting or perhaps some new stretches from our Titleist Performance Institute Certified AIRROSTI doc, Nick Askey, DC, ACP. Among our many new friends at the First Tee is PGA Professional Taylor Carruth. Linda and I and Taylor just kind of hit it off with instant rapport. As our conversations progressed we discussed ways we could work together and now Taylor is one of our Parenting Junior Golfers Partners. Select the meet our partners tab at parentingjuniorgolfers.com and you will find Taylor’s complete resume. As is evident, Taylor is a busy guy and we are excited that he has come on board with us! He is also a popular guy. The kids and parents love the enthusiastic, patient teaching style of Taylor, the Coach. Oh, and they like Taylor the person too! Please take a moment to peruse his resume. If you have a daughter who plays or is considering playing golf, pay particular attention to the LPGA-USGA Girls Golf. If you are not near San Antonio, check to see if there is a similar program in your area. Mom and Dad, please remember that many girl’s college golf scholarships are unused every year because there aren’t enough female junior golfers to fill them. Just sayin’. And parents of boys, fear not because with the proper help and advice your son can have a decent shot at a college scholarship. College costs are insane. Every dollar helps. Parents, please be optimistic about your junior golfer’s ability to get a college scholarship. Yes, it’s a process, but it’s doable. Get excited! After you finish reading about Taylor and our other partners, check out our resource tab to read about the special offer from Junior Golf Magazine, available only to our Parenting Junior Golfer friends. Junior Golf: Where Are Sam And Linda? Where could we be? Unfortunately, we are not at some exotic golf destination or resort. But we are still in a very good place. We are in the soon to be released April 2017 issue of Junior Golf Magazine! Yes, recently we were contacted by the publication asking if we would be interested in writing an article for them. A senior staff member had seen 1 of our posts and it peaked his interest. Of course, an enthusiastic Yes was our reply and now Parenting Junior Golfers will have a presence in all 50 states and internationally as well. Exciting stuff! Junior Golf Magazine is an excellent resource for everything for your junior golfer. We encourage you to check them out. Use our article as a starting point. Junior Golf Magazine Has a Special Gift for You! Get a 3-issue subscription – Free! Kids are the future of the game…and nobody knows that better than Junior Golf Magazine, filled with all kinds of great articles about and for young golfers. Right now, you can get 3 FREE digital issues to Junior Golf! Junior Golf publishes eight issues per year – all new stories, all new tips! Start receiving your 3 FREE digital issues right away – go online and reserve yours today! Remember there are a number of ways to have a better relationship with all your family members, take a couple of our recommendations and start using them. And please consider a subscription to Junior Golf , it’s great! In this Monday Mulligan we will look at why Arnold Palmer had such an amazing impact on everybody and everything he was involved with. Let’s remember The King! Why is this important to your junior golfer? The short answer is: It’s not about them. Life is about loving and helping others. Being about self, self-oriented or self-absorbed is a poor path. Being selfless is the proper direction. Your child’s personality type plays a significant role in how he/she interacts with others. Every personality certainly can love people, it’s how they manifest their love that is different. Dad and Mom, ask yourself, how do I show my love for my spouse and my kids? Do they understand how much I love them? Is there something I need to do differently? Countless studies show that people get a greater sense of satisfaction from helping others than from doing nearly any other activity. Now I’m not saying that your kiddo needs to give up golf and become a missionary. The point here is golf is a tough sport. Life is a hard track. Liking and loving others puts your young golfer in a position to succeed in life and in golf too. There’s an inner peace, happiness and overall satisfaction that comes with a sincere likeable personality. This means that your son or daughter will be in a position to make better grades, shoot lower scores and be an all-around more pleasant person to be around. It’s all good! Talk this over with your spouse. Is your youngster someone who cares, genuinely for others? If you have a very young golfer it may be more difficult to understand how he/she is able to interact. By the time they hit 8, 9 or 10 years old you should begin to get a grasp of their ability to communicate with others. Do the other kids enjoy playing with him/her? Is he/she pleasant on the golf course? Yes, every 1 of us is different, our children as well. The ability to love is in all of us. Sometimes it’s getting our love to the point where we can display it, again slightly differently, based on our own personality. Show a little love and see if you don’t get some in return! Oh, we miss Arnold Palmer because he loved us and we knew it! Take some time over the weekend to celebrate “green”. Get outdoors, breathe the fresh air and take your junior golfer with you. If you’re able to play golf together casually throw out a sentence or 2 about how great it is to be able to spend time with your son or daughter in such a pleasant setting. No big speech, just something like, “Son, it’s fun being able to spend some time with you. Isn’t the course in great shape? The staff have really done a super job. Let’s give them a big thumbs up!” There you go! In this Wednesday Waggle we will adventure into the world of nutrition. This is an ever-changing area with new data being released daily. There are some very solid guidelines for a nutritional breakfast that will support your junior golfer and give him a chance for a good round of golf, at least nutritionally speaking. Researchers found, I don’t know maybe 10 or 20 years ago that protein was absolutely essential as part of a healthy breakfast. It activates certain cognitive cells in the brain which means that your youngster will be sharper, and have more recall and clarity than without any protein to start the day. Kids who ate protein before school consistently had higher test scores than those who did not consume any protein. Ok, bacon and eggs, anyone? How about some yogurt or a glass of milk? Please consider avoiding the junk cereals and the temptation to just have a couple of slices of toast. If you don’t have time to cook, keep some full fat yogurt on hand and put some fruit in it. We prefer organic dairy products for our family. Proper nutrition at the right time puts your son in a position to succeed, sets him up for success. Mom and Dad, that is always a top priority. Remember, you’ve got to include protein in breakfast! Don’t worry about carbs, they’re everywhere, they’ll show up on their own.